Disclosure: I received wall decals from My Wonderful Walls for review. All opinions are my own. I was first introduced to My Wonderful Walls during the New Year, New Home event when I moved into our current home. Ever since then, I have received so many compliments (both online and off) on how fantastic her walls looked. Some even thought that it was a professional mural. 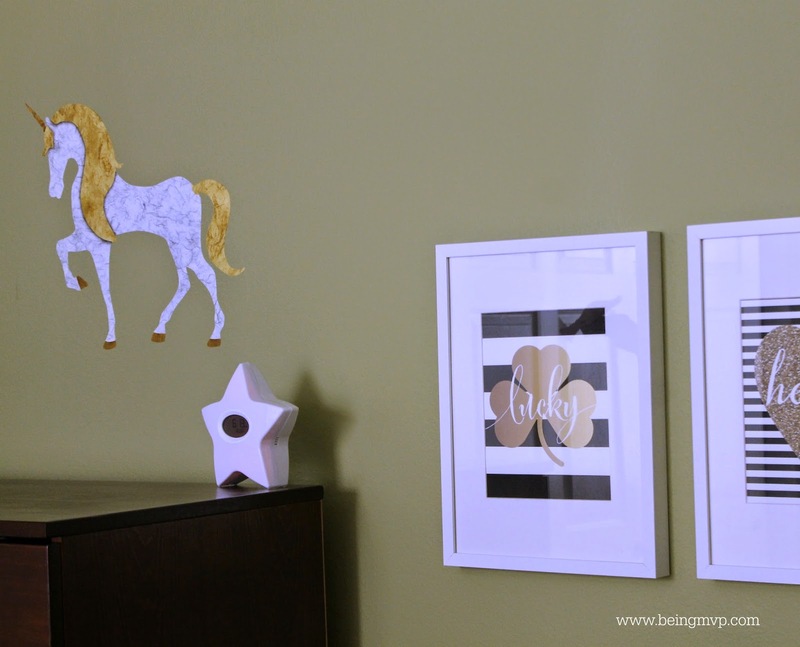 These are by far my favorite wall stickers because they are made of a fabric adhesive material that can be re-positioned, removed and reused without causing any damage to your walls! What child wouldn't want a new look for their walls for the upcoming school year? 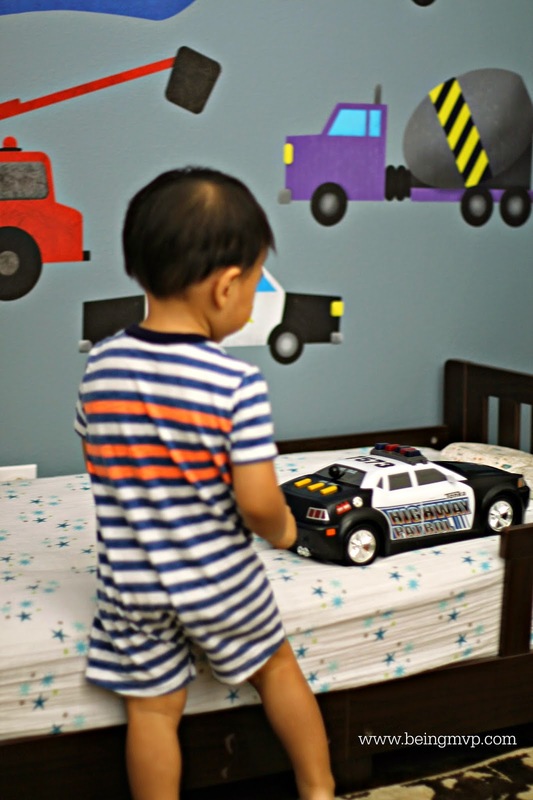 Since Mason has been really into cars and trains, the Transportation Wall Sticker Kit was perfect. You ask why he would need new wall decor when he isn't even attending "school"? Because he climbs on Kenzie's bed and names off every item on her Splendid Garden wall down to the little bees. He wants his own fabulous wall! Since his room is significantly smaller than Kenzie's room and is literally a square space, I had to cleverly arrange the vehicles in a manner which flowed i.e. stacked without looking overly cramped. Kenzie helped me with the process after school to surprise Mason when we went to pick him up. These fabric wall decals come off the backing smoothly and stick right onto the wall with ease. The entire wall took less than 15 minutes and the result is amazing. Kenzie was so excited to show Mason her work! Kenzie dragged Mason into his room and he was shouting all the names of the various vehicles from motorcycle to fire truck to airplane. Kenzie even pointed out Mason's name banner to him. Every time Mason enters his room, he looks at his transportation wall and names all his vehicles and makes the coordinating sounds. It is really the cutest thing and you know he loves it. I need to find him some coordinating bedding soon. Decorating a space to fit your child's personality is a great feeling because you know they will love spending time there and enjoying every moment of growing up. Kenzie was surprised with her new Unicorn wall sticker which I placed over her dresser. She loves the magical creature. My Wonderful Walls is great for those who also want to add a little bit of special into their existing child's decor because they offer individual stickers. I already have several in mind on my wishlist for other areas of our home. Whose wall space do you want to dress up for the new school year? One winner will receive a $100 Gift Code to My Wonderful Walls! I would use this for my son and daughter's playroom. I'd probably get something in the cloud theme since that is more general neutral but still fun. Visited the site and I really like Forest Friends Wall Stencil Kit for Kids Rooms, so much fun. 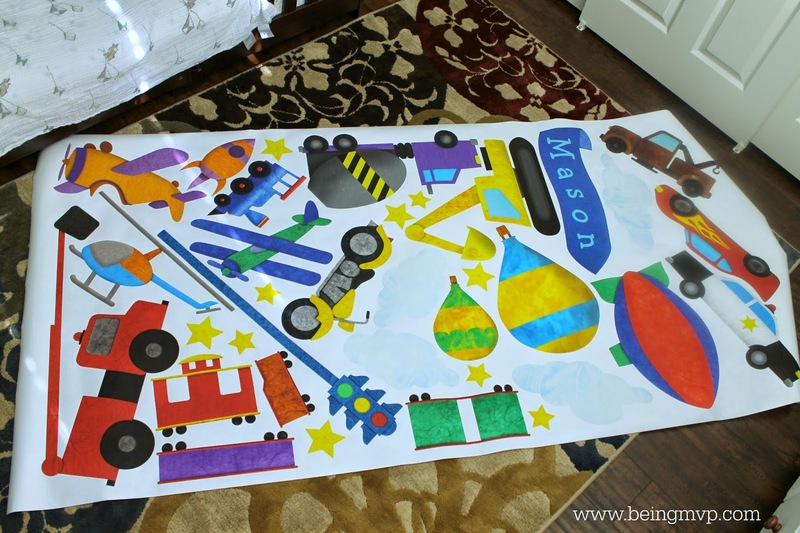 I would love to win the Transportation Fascination Wall Mural Stencil Kit for my boys. I would put it towards the jungle safari wall sticker kit for my daughter's room! I'd get the Forest Friends Wall Stencil Kit for my grand-daughter's room. I would get the Splendid Garden Wall Sticker Kit for my nieces nursery! I would choose the Bugs and Blossom Wall Mural Sticker Kit if I won. I would love the Perfectly Princess Wall Sticker Kit for dd's room but I also LOVE the Dolphin Duo Wall Sticker for MY room! WOW, these decals are amazing! It just so happens that I'm starting college and these would be perfect for decorating my room. I'm eyeing Adalyn's Party Trick cut out Hollie Chastain. Even if I don't win, I think I might as well buy this amazing find! I love the colorful zebra sticker -- I'd put it in my new classroom which is decorated in bright colors. They have so many great designs and it's hard to choose. But I would probably get the Dinosaur Wall Mural Sticker Kit for my little guy's room. I would get the Paws Park Wall Sticker kit for my daughter, she loves dogs and cats! I'd get the Birds and Tree Branch Wall Sticker - Decal for my master bedroom. Thanks. I love the jungle tree sticker!! I would get the Birds and Tree Branch Wall Sticker - Decal for me! I would get the Bugs and Blossom Wall Mural Sticker Kit if I won. I would get the Disco Rainbow Wall Stickers for my daughter, and the Full 5-PieceTrain Stencil for my son. I'm getting a "503 Service Unavailable" message when I go to the site, but I'd like to get something ocean themed for my son's nursery. we have a tiny house so id love to get the friendly farm wall sticker kit for our sleeping area! Forest Friends for our sweet girls who share a room. i like the Jungle Safari Wall stickers = very cute! Flight of Dragons for my son and Bugs and Blossoms for my daughter. I would get the Hummingbird Swirl Wall Sticker for my niece! I'd get the Large Daisy Flower Wall Stickers for my daughter's room. I know I would at least get the Angel Fish by Dean Russo. I also like the Dolphin Duo. 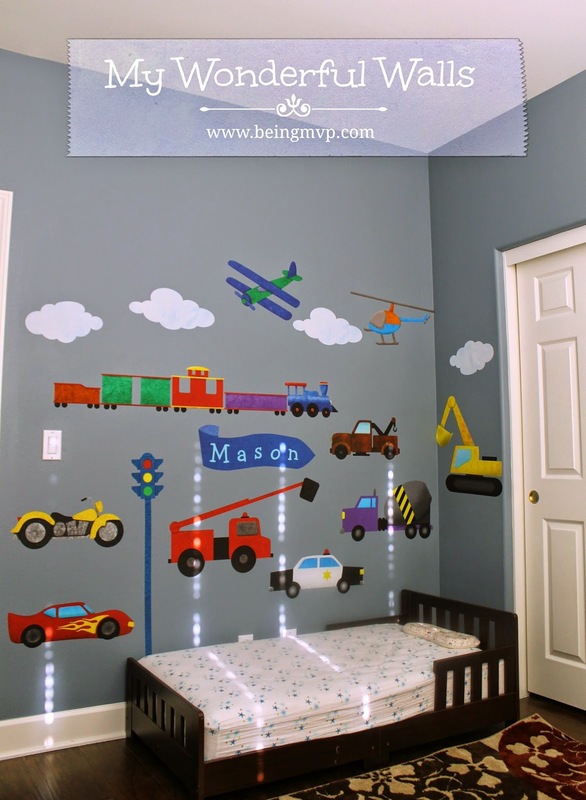 Transportation Fascination Wall Mural Stencil Kit is something i would love to get for my nearly 3 year old son. He loves trucks and trains! My oldest daughter would love the Dolphin Duo Wall Sticker. I would love this for my daughter's room. I like the flowered trees for the living room. I think I would get the forest friends for girls set. i love the princess kit. so cute ! DS5 has been asking to have his room painted since he figured out what paint is. I'd love to get the Monster wall stickers as a finishing touch. I'd love the space wall sticker kit. I would get the perfectly princess for my daughters room! I would choose the Paws Park Wall Sticker Kit for my nephew. i would get the Hummingbird Swirl Wall Sticker for my daughters room. I'd get the Personalized Princess Banner Wall sticker for my daughter. Thanks! I would get the Spring Love Tree Wall Mural Sticker Kit for my little sister! I would get some of the transportation stickers for both my boys rooms.